Is in its fourth year and is an appropriate one for the Zoo, as the charity has received many significant legacies over the years. Paignton Zoo fundraiser Jenny Paton: “Our Ape Centre – home to gorillas and orang utans, including babies Tatau and Natalia – was built thanks to a legacy. Another sum built a whole set of owl aviaries. It is a very important way for a charity like ours to receive funds.” A Will is important if you are getting married or divorced, have children or grandchildren or own property. Jenny: “You hear all these terrible stories of family disagreements over inheritances. 7 out of 10 people have not made a Will, which I find amazing. A Will can make all the difference.” When you die without leaving a Will, the law decides who gets what and how much. It doesn’t matter what your relationship with these people was when you were alive. Leaving a Will that says clearly who should get your property and money when you die prevents unnecessary distress at an already difficult time. If you die intestate, it can also lead to long and complicated legal wrangles; last year £8 million went to the government because people didn’t write a Will. 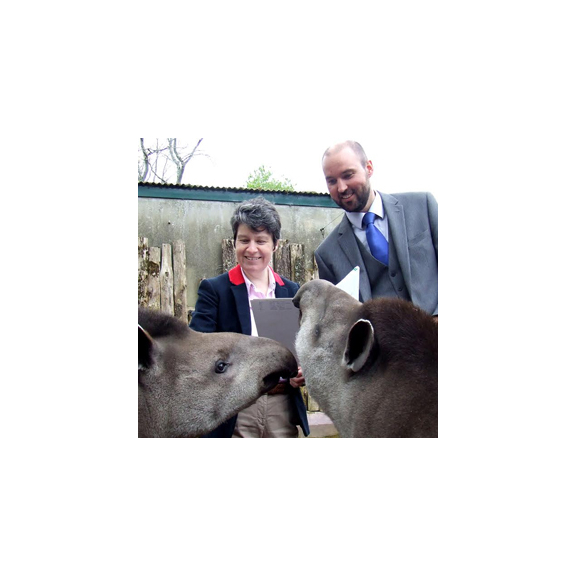 As part of Paignton Zoo Will Week you can book a personal consultation in a private room with a professional solicitor. Wollen Michelmore have waived their usual fees for the week. Instead, the Zoo is asking for a minimum donation of £150 for a single person or £200 for a couple (significantly less than the commercial rates). This money will go towards Paignton Zoo conservation projects. For more information contact Jenny Paton on 01803 697509 or email jenny.paton@paigntonzoo.org.uk.